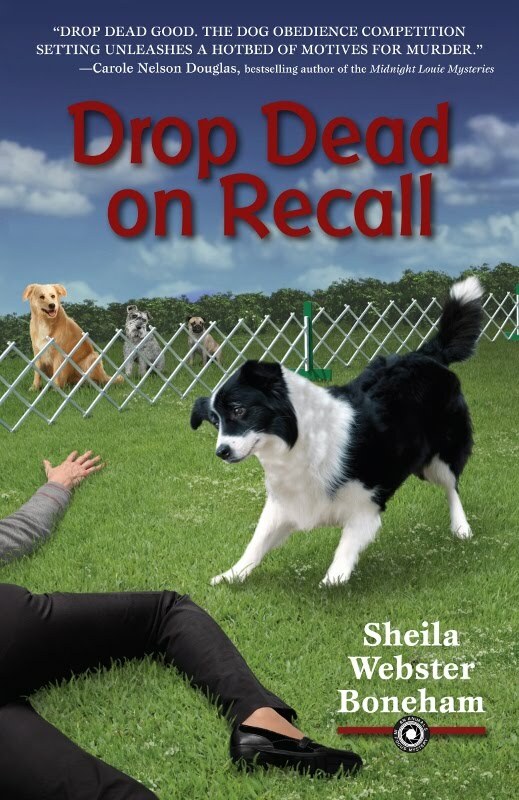 Sheila Webster Boneham: Shiny New Maxwell Award for Drop Dead on Recall! Shiny New Maxwell Award for Drop Dead on Recall! I'm wagging and bouncing all over the place this morning! Why? Because Drop Dead on Recall has won the Maxwell Award for fiction! Winners in the annual Dog Writers Association of America's writing competition were announced last evening at the awards banquet in NYC. You can find all the winners and finalists listed here. Congratulations to everyone! It is always an honor to win a Maxwell (three of my nonfiction books have won in their categories, and three others have been finalists). The competition is always formidable, and the judges are themselves knowledgeable dog people and writers, and they volunteer their time to support quality writing about dogs. Drop Dead on Recall (2012) is the first book in the Animals in Focus Mystery Series published by Midnight Ink. The sequel, The Money Bird, came out in 2013, and the next installment, Catwalk, will be out in September 2014. You can learn more about the series by clicking the Mysteries tab above. Animals are key characters in my books, always real and realistic. 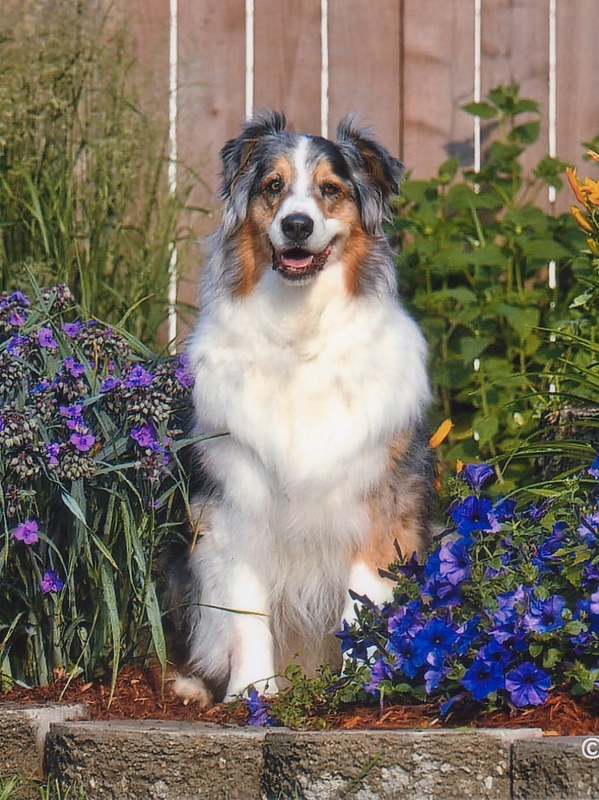 The "protagdog" is Jay, an Australian Shepherd modeled on my own Jay and other Aussies I have had the privilege of sharing my life with over the years. The top cat is Leo, and he turned out to be a hero in Drop Dead on Recall (and wait 'til you see what he's up to in Catwalk!). "The intricate plot [of Drop Dead on Recall] has plenty of surprises, red herrings, and interesting details about animals. Fans of Laurien Berenson or Susan Conant will especially enjoy this pet-centered mystery." — Amy Alessio for Booklist. Your local bookseller - please support Independent Booksellers! Sheila, I've said it other places, but congratulations!! It's really cool that you won!